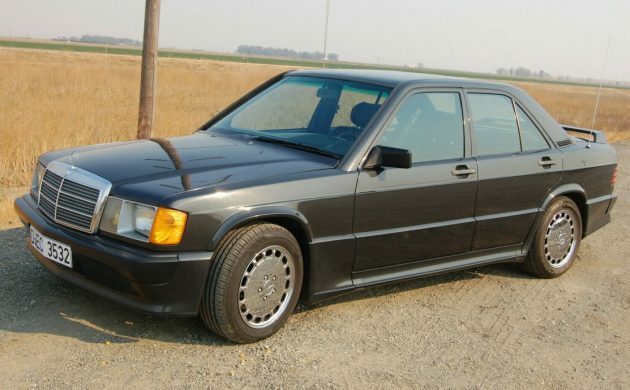 I tend to check craigslist weekly for posting of Mercedes 190E 2.3-16 projects in the hopes I don’t see a car that looks like a more sensible buy than my rusty, junkyard-found 1986 example. This car has been popping up for a while, along with another smoke silver example in California. 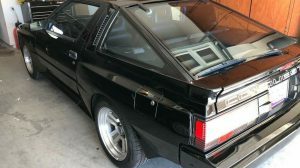 At first, I was worried – that looks pretty good for just over $10K. But I relaxed when I saw the transmission situation. Find out more here on eBay, where this preserved example is listed for $12,900. 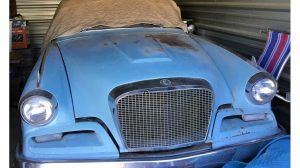 In my head, $10K was the cut-off: if I found a non-needy car for $10K (or less) with a manual transmission – in this case, the rare dogleg gearbox – then my junkyard find was a fool’s errand. So far, my math has held out, as I’ve seen just one other car for around $2,800 that needed almost as much mechanical sorting and still had rust issues (admittedly, not as much of either). 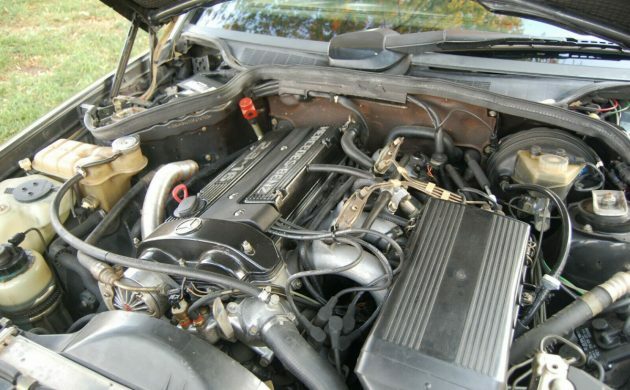 The transmission choice greatly affects value in these cars, as the rev-happy four-cylinder and free-breathing Cosworth head both come alive with the manual box – not so much with the automatic. This car certainly has been nicely preserved, and wears the rarer of the two shades of paint offered. The interior, with its standard Recaro buckets front and rear, is holding up nicely, including the wood trim and crack-free dash. 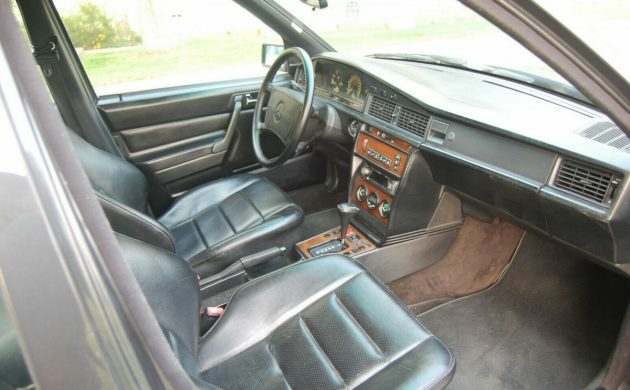 The door panels also present well, and the leather hasn’t frayed off the steering wheel like my car. The strike against it remains the automatic, which is the same grievous offense of the other car in California I mentioned earlier. Both are automatics, both are in very nice condition, and neither has so much as disappeared off of craigslist even once. I wouldnt mind having one of these, but it better not have rust and be in good mechancial condition. I worked with a lady who’s car was constantly at the MB dealer for work. And the invoices weren’t cheap. I drove an automatic when it was nearly new in Orlando. I was only able to take it out on I-4 for a short but quick run, and it was very impressive. Seems like 143 was top end on them. I was driving a modified Pantera at the time. I’m with you though, only a 5 spd. will do. I have arthritis in my left foot so automatics actually work out better for me. You mention checking Craigslist weekly – Is there an easy way to do that across a state or the whole site? I end up checking a city and surrounding area at best – I don’t know how to do more than that – anyone know how? Just Google “search all Craigslist” there are a number of sites that will allow you to do a nationwide search. Go to Germany (or better UK), find a dogleg, do the conversion if you must. Does anybody dislike these as much as I do? In my opinion they were junk when new. You are funny. State your automotive mechanical qualifications for such a ridiculous pronouncement. I passed on one of these back in 2001 that had dead shocks on all four corners, otherwise it was mechanically ok. The kicker? It was on a dealer back lot as it had staggering miles, something like 200,000. The price? $8500. 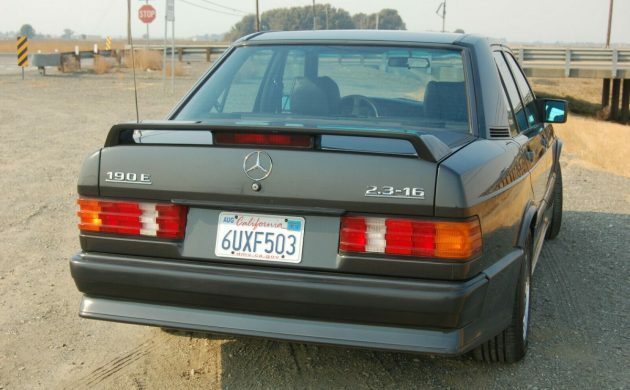 Add this to the complete but apart ’66 911 I bought for $900 in 1989 and the rusty but drivable MB 190 roadster I passed on for $800 in 1990 to cars I coulda shoulda woulda…. Uhhhh…. How about the original sharp Yenko Stinger (Corvair) I passed on in ’05 for $22K and which was bought and flipped for $94K!!!! !